The picture shows the actual item for sale. The National Trusts. This issue highlights the plight of threatened species of Butterflies. Model Number: 487. Highlighting the plight of threatened species of Butterflies. Date First Available: 27 Jun. 2013. Give us a shot and we will make sure that you will look to us again! 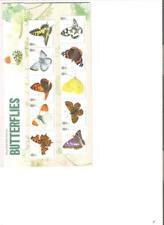 GB 2013 BUTTERFLIES PRESENTATION PACK No 487 MINT STAMP SET SG3499-08 SCAN # 487. GB 1981 Presentation Pack 126. Butterflies. 2013 Royal Mail Commemorative Presentation Packs. Each sold separately. 1981 GB Butterflies. SG 1151-1154. British Stamps. 1981 Butterflies Presentation Pack. British Stamps. 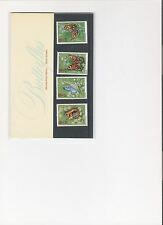 1981 Butterflies Presentation Pack.. Dispatched with Royal Mail 1st Class Letter. UK - £1.19 (Large Letter up to 250g). Four stamp set. Mint and never hinged. Issued 13th May 1981. 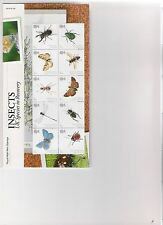 Butterflies P.Pack No 487 11 Jul 2013 Complete MNH GB A2361 BRAND NEW. Dispatched with Royal Mail 2nd Class Letter. I am happy for you to point out any errors or omissions. II have for sale the item as per the photographs. Condition as per the photos.